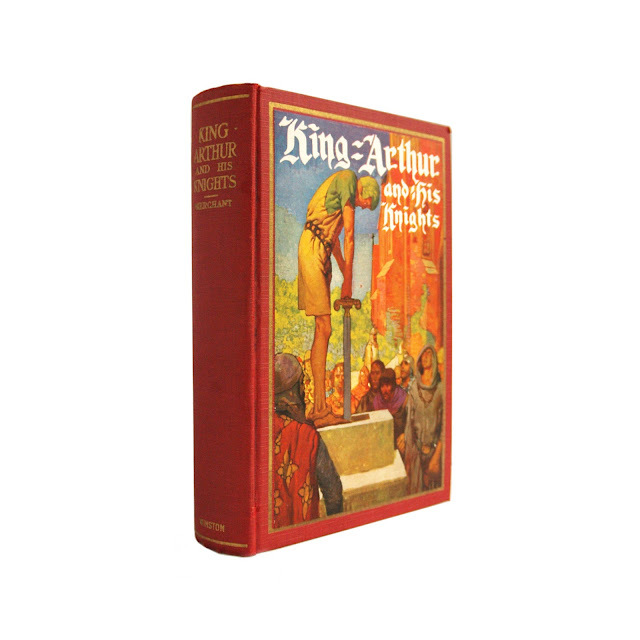 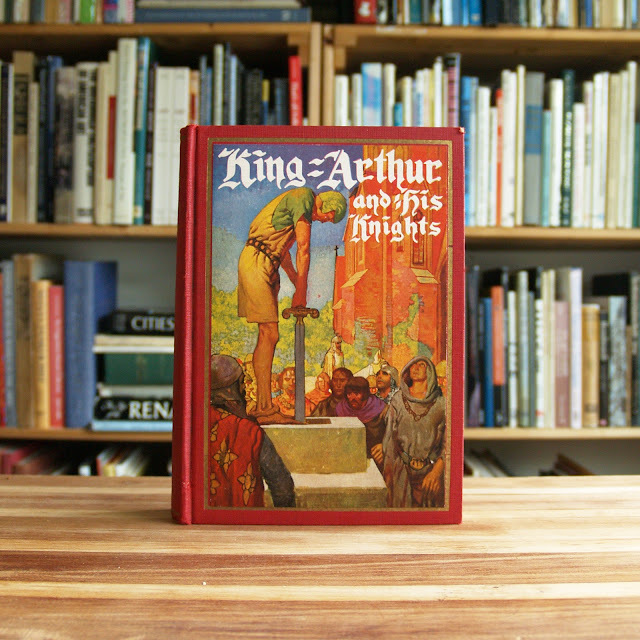 This vintage collection of King Arthur stories is bound in red cloth boards, with gilt spine lettering and a color paste-down illustration by Frank Godwin. 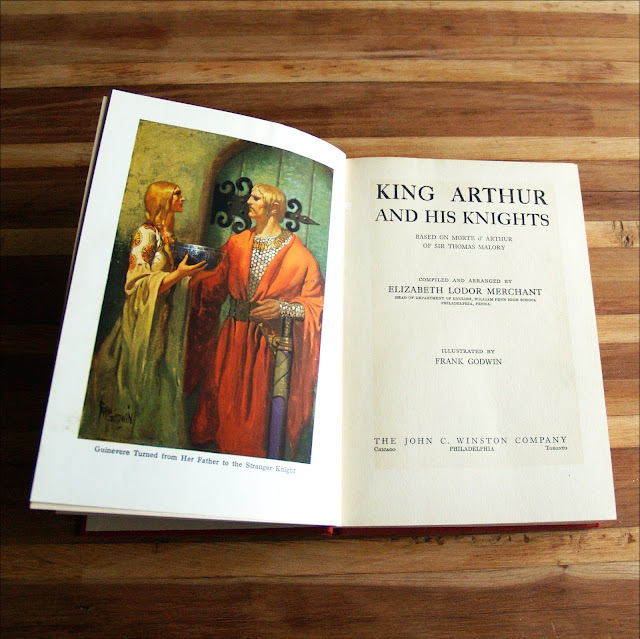 Mild edgewear; Color and black-and-white plates by Godwin throughout. 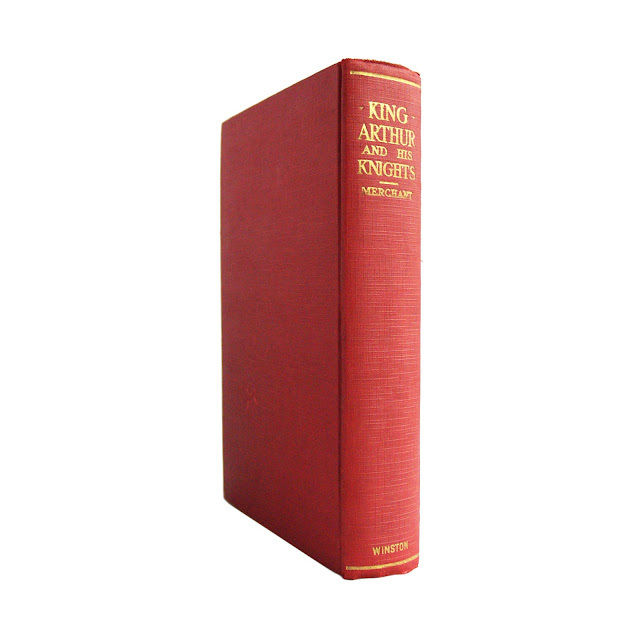 256 pages; approx. 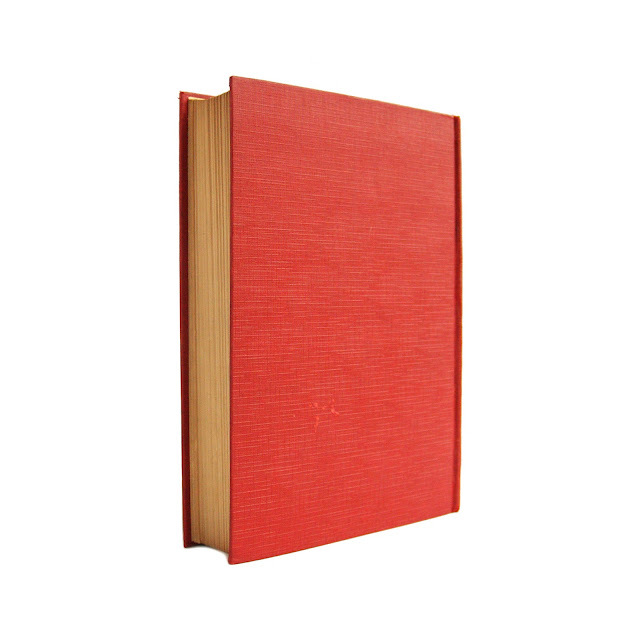 6"x9".